THE RADICALISED RABBI is a blog on Judaism and its very useful ideas and the blogger a Secular Koranist and a revolutionary. You don't have to be Jewish to find them very useful indeed in tidying up our thinking and turbo-charging our powers of reasoning to the extent that you can even predict most events and disasters. The West is heading for disaster with its current government and insane policies. What a shame Rabbi Tatz did not give us a mini lecture on Avoda Zarah and how Jews are allowed to enter mosques but not churches which are places of abomination where idolatry is practised. 1) Is Christianity or Islam more in conformity with the Noahide laws? 2) Is it Kiddush Hashem to point out to the gentile when his laws fall below the minimum moral standards of the Noahide laws? 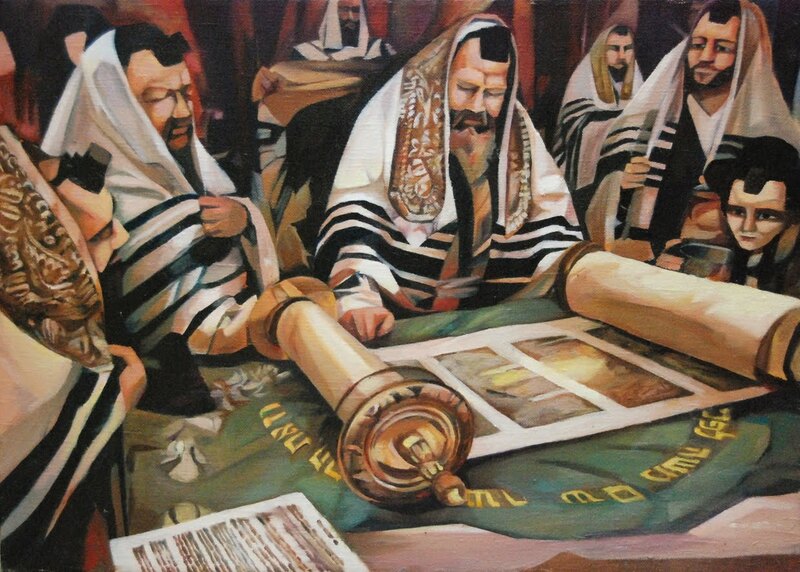 3) Is it Chilllul Hashem if all rabbis in World Jewry collectively shy away from their duty to the gentile? 5) Do Jews have a religious obligation to exterminate the Amalek? 6) If the gentile is now too degenerate to put two and two together, is it the duty of Jews to point out that if Christianity is kaput, they must now choose a religion capable of maintaining morality ie support marriage and family values to replace it or else suffer the fate of Sodom and Gomorrah AKA globohomo which is now worldwide? 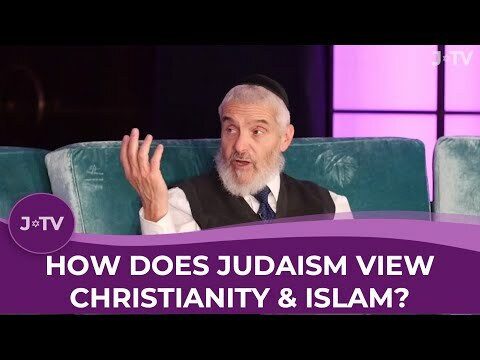 7) Do Jews have a duty to commend Islam (which is in conformity with the Noahide laws) to the gentile while urging him to reject idolatrous Christianity (which is not)? 8) How likely is Hashem to punish Jews neglectful of their duty to the now hopelessly degenerate gentile? Doooovid's provocation of the goyim begins at 1:19:00 repeatedly taunting them with HIAS. "You are not giving proper respect to Sergey Brin, Jew, who came to America through HIAS", calling them beggars etc ad nauseam. The rules work only as long as people follow them, as logic would tell you. Why aren't the rule breakers punished? We know that all people break their own rules, but also know that none have done so as blatantly as Christians or for as long ie 2000 years over the worst sin. I think your problem is your inability to acknowledge that the doctrine of the Trinity is idolatrous or the endemic corruption of your priesthood over the centuries. The defects of your religion and political system you blame on Jews, with very little self-examination. The corrupt Christian Trinitarian bargain is as follows: people who call themselves Christians *pretend* to believe that an executed revolutionary is the co-equal of the supreme and eternal Abrahamic God and their corrupt priesthood *pretend* to forgive them their sins. The bargain made between your Christian ancestors and their government was as follows: call yourself Christian and pretend to believe that an executed revolutionary is the co-equal of the Abrahamic God to be different from Jews and Muslims, and the state will not persecute you. Not surprisingly, the moment people who called themselves Christians were allowed to deny the Trinity, that was precisely what they did. And now the baby of Biblical morality has now been well and truly thrown out with the bathwater of their idolatrous Trinitarianism. Not everyone can be persuaded to believe in God, but it is the law that limits our immorality. Our laws should be in conformity with our chosen moral system. The US constitution allows freedom of belief but Christianity is totalitarian and says you must believe Christ is God too. When Rome fell in 476 CE, the Romans had the excuse of not having Islam available to save their civilisation. The Koran was revealed in the 600s. We do not have that excuse available to us. 38:00 Christchurch mosque attacks considered by Rabbi Mizrachi. 56:00 Feminism and homosexuality is discussed and Rabbi Dweck is predictably mentioned. If the problem is Matriarchy, the solution must be Patriarchy. If the destination is Patriarchy, the vehicle must be Theocracy. There is nothing in the New Testament to base a theocracy on, so the scripture to be used can only be the Koran. 1) Is the West now a matriarchy? 2) Should the patriarchy be restored? 4) If there is nothing else other than Secular Koranism, do you have a duty to discuss it? 5) If you refuse to discuss it, is it because you suffer from the character defect of cowardice and denial? 6) If you refuse to discuss it and present yourself as an alt-right political activist such as @MarkACollett and Millennial Woes, are you being intellectually dishonest? 7) If you are an intellectually dishonest activist who refuses to discuss solutions you dislike, are you in fact a hypocrite more invested in producing videos complaining about the problem than finding a solution for your people? 8) Are you parasitic if (7) is true of you? 9) What do you think will happen to spineless leaderless men unable to defend a principle or even acknowledge the truth, use logic or follow the rules of morality? 10) What are men who know they are fit the description above but cannot be shamed into action - cattle? Their contemptible cowardice and silence only means that a change of religion is not only necessary, it is becoming increasingly urgent to avert disaster. The phenomenon of self-hating Jews is considered . I wonder if he is aware of my answer to the Jewish Question at https://thevoiceofreason-ann.blogspot.com/2018/10/ask-rabbi-5-claire-khaws-questions-for.html which would tend to lower the heat of antisemitism if it were more widely discussed. To be Chief Rabbi of the British Commonwealth, you have to be the biggest rashaim and Epikoros in the world, it seems, says Rabbi Mizrachi. The last one - Rabbi Sacks, though a heretic - was nowhere as bad. LIBERALISM HAS INFECTED JEWS. Rabbi Mizrachi himself has been accused of Holocaust Denial. BRITISH JEWS ARE NOW A LOST CAUSE AND MUST BE ABANDONED TO THEIR FATE LIVING AS THEY DO IN THE MIDDLE OF SODOM AND GOMORRAH. Chief Rabbi Mirvis sicced a Muslim woman at UK Border Agency to interrogate him on arrival about his views to prevent him from entering the UK forcing him to cancel 12 lectures. The Israeli Supreme Court is the viper in the bosom of Israel. Jews have a religious duty to peacefully and legally remove the rasha Rabbis Mirvis and Dweck from their positions, says Rabbi Mizrachi, by boycotting their events, not going to their synagogues and not allowing him to be part of their minyan. Jews should leave Europe for Israel before it is too late. In 2 or 3 years from now, it will be too late for them. Antisemitism is off the scale, especially in California. There are goyim who don't know they are Jewish and there are people who think they are Jews who aren't really Jews. Jews are so mixed up and their women so out of control that there are even Hamas terrorists who are Jewish. The Holocaust was caused by the Hand of God. If Hitler had exercised more patience, he would have won the war and exterminated the Jews. "We must do everything possible to ensure that the seven Noahide laws are observed. If this can be accomplished through force or through other kinder and more peaceful means through explaining to non-Jews that they should accept God’s wishes [we should do so]…Anyone who is able to influence a non-Jew in any way to keep the seven commandments is obligated to do so, since that is what God commanded Moses our teacher." When Job's wife said "Curse God and die," she was displaying emunah but not bitachon. "Without the evil inclination, no one would father a child, build a house, or make a career."